If perfecting your music marketing strategy is the ideal foundation for getting press and growing your fan base, then adding a dose of the nontraditional in that process is the trimming that could set your band apart from the rest. It doesn’t have to feel contrived or forced, either; trust your instincts and you’ll find there are ways of filtering in unexpected promotional elements that feel appropriate and natural, whether intended to be silly and gimmicky or earnest and sentimental. 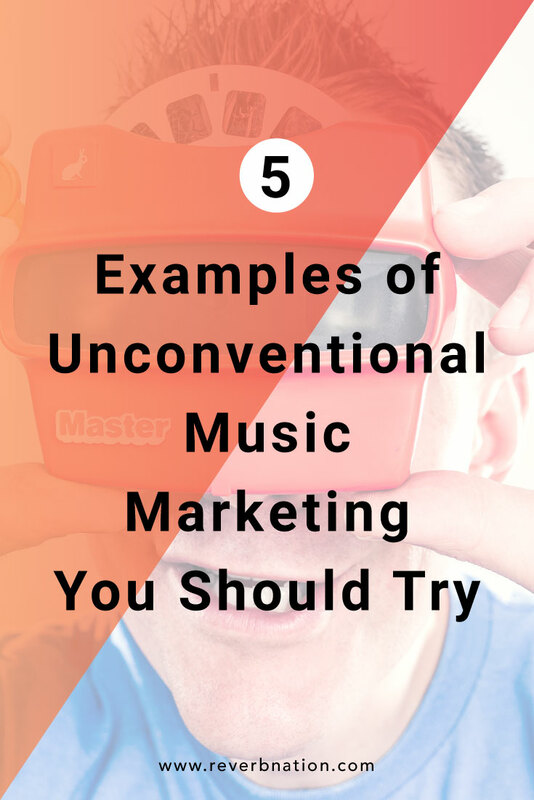 Check out the five examples of unconventional music marketing for inspiration in sprucing up your own strategy. With creative thinking, you’ll come up with something fresh that’s wholly unique to your band. Chicago brother-sister garage-rock duo White Mystery has cultivated a loyal following through their relentless self-booked touring (about 10 months out of every year), a consistently creative social media presence, their frequently delivered newsletter, unexpected extras like a full-length movie, and supremely fitting brand pairings like Levi’s and Daredevil Pedals. Alex White heads up every last bit, but works together with brother Francis, her mother, and a team of eager interns. The band’s way of working is the epitome of what DIY really means. In terms of marketing, it really seems like Alex and company think of everything; there’s reason and intent with every move they make. And that includes when their albums are released. This year marks the eighth that they’ll drop a studio LP on April 20—which creates not only a reliable schedule, but also strengthens ties to a certain community of rock ‘n’ roll loving herbal aficionados who appreciate the timing. That specific unofficial holiday works for White Mystery; are there any dates that would work for your next release? Offering a unique creation in your merch selection can do more than just spike sales, it can also earn you press—like these 7 examples. The logic behind the item can be earnest and intimate, like a handmade mug; wholly practical for your general fanbase, like these skateboards; or these individually decorated cassette players. Daft Punk, for example, once released their own brand of condoms and their own action figures. Standout band merch routinely gets coverage, but even if yours doesn’t pique the interest of the press, the marketing push of striking that chord with your fans is just as valuable. Everybody releases videos, but what about films? Making cinema of your music isn’t for every band, but when it works, it’s an incredibly affecting way to convey the full meaning of your message, or layers within it, exploring alternative understandings. Bands and artists at all levels have taken this route. Florence and the Machine created the 47-minute Odyssey last year, London-based Daughter debuted a three-part short with their sophomore LP in 2015, and, of course, there’s White Mystery’s perfectly wacky full-length film, That Was Awesome. An extra bonus: You can aim for press from websites and blogs that cover film, or the intersection of film and music, in addition to your usual roster of outlets. Bands have teamed with breweries to develop signature craft creations, they’ve awarded early access to albums with the purchase of limited-edition booze, and they’ve worked with roasters to offer their own specialty coffee. While those types of partnerships may seem available only to bands and artists at a certain level, there are other options for those just starting out. For instance, you could collaborate with a local chef for a pop-up dinner or one-night-only restaurant menu influenced by your music; it’d be a memorable night for your fans, and an opportunity to earn new ones. If the listener is who drives the music you make, why not let them hold the wheel a bit throughout the process? Asking fans to vote for certain aspects (the next single you’ll make a video for, what to include in a catalog-spanning setlist) or to create something themselves (like an album artwork or T-shirt design contest) is an engaging strategy that feels more like community-building involvement than sales-driven marketing. One of our favorite efforts that embraces this idea in the most creative of ways is Atlanta band Little Tybee’s recent #TybeeRadio project, in which seven old-school transistor radios rewired to play their tunes were passed around the world to friends and fans over the course of a full year. Each participant filmed a radio in a different location, and the resulting footage was collaged together for a single striking, gorgeous, and affecting video released last fall. It’s pretty amazing. Hey Jay, You really deserve more credit for this post! I really enjoyed point 5 about your fans having more influence over your work. That’s a neat tip I think ill try to incorporate. Thanks for the info! Yeah this really helps emphasize the importance of getting your fans involved and motivates new, creative ideas! Awesome insight. Given that I just released my first EP, points 1 & 5 are great and very helpful tips/examples. Thank you! This is on point, I’ll try that, thanks man, you’ve really made my day. 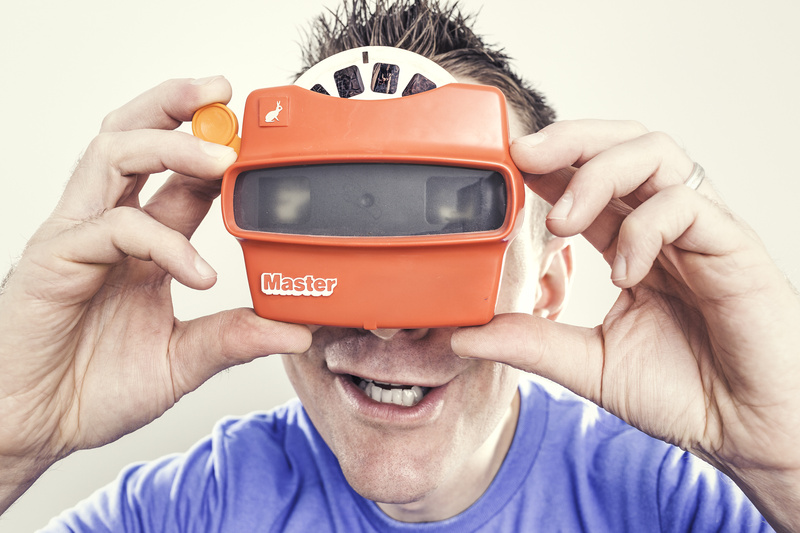 While most independent musician I know couldn’t afford custom logo booze, skateboards or condoms … there is lots of cool stuff you can do if you just visualize an object, container, taste treat, etc. that ties in with a song title, artist name or album title. I like the pop-up chef idea; almost every chef I know is a big music fan! Very inspirational and informative article, supported by very useful — and fun — links. Thanks.